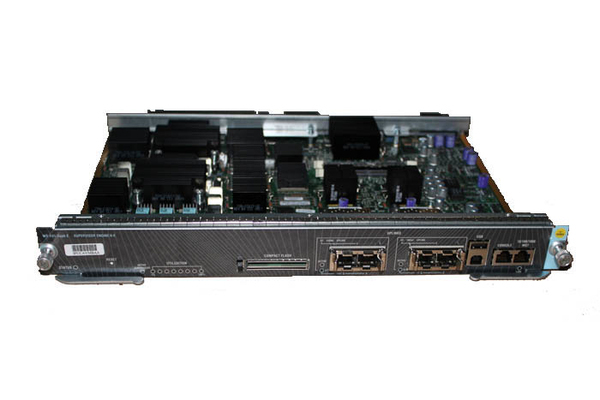 The Cisco Catalyst 4500 Supervisor Engine 6-E with CenterFlex technology is an intelligent, high-performance, next-generation extension to the Cisco Catalyst 4500 Series optimized for customers deploying business-critical applications. CenterFlex technology is enabled by Cisco developed application-specific integrated circuits (ASICs) specific to the Supervisor Engine 6-E that deliver industry-leading centralized performance and configuration flexibility. CenterFlex technology helps enable granular optimization of real-time voice, video, and data communications to ensure workforce productivity and profitability and customer success for organizations of all sizes.